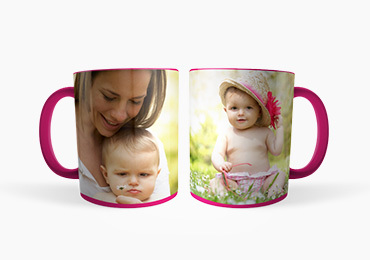 Custom photo mugs are designed to serve yours with unbiased moments. 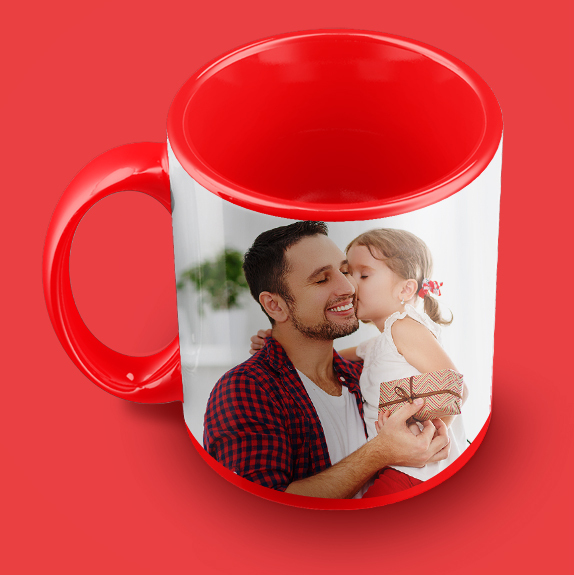 Color Changing Magic Mug with Photo. A great surprise gift! What are you waiting for?? 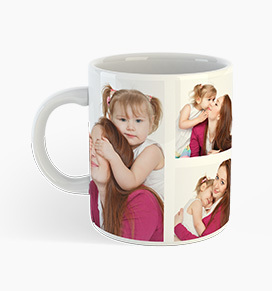 Create a mug with photos from the blissful family occasions. A class picture makes a great keepsake for class reunions. 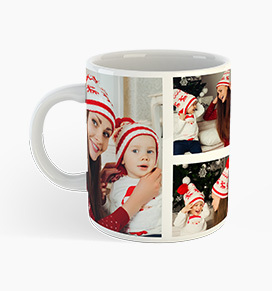 Design Your Own Photo Mug - It's Easy! 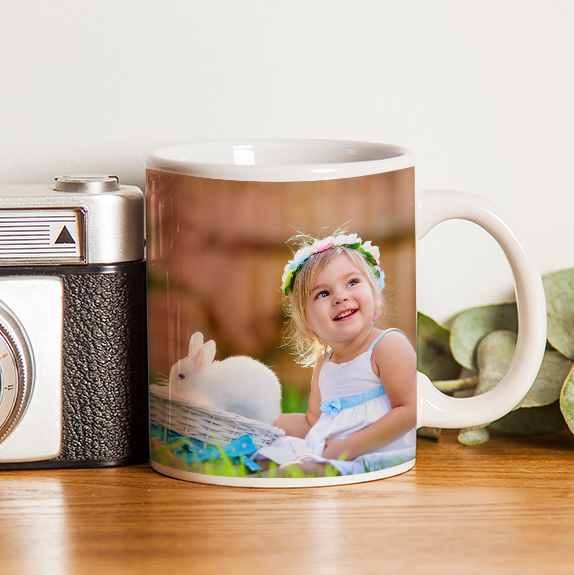 You're just a few clicks away from the perfect photo mug! 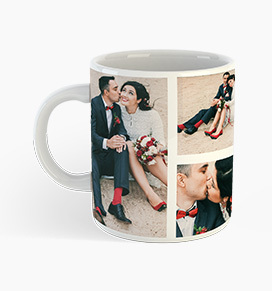 All our mugs are made of sturdy, dishwasher-safe ceramic and feature a wrap-around panoramic print. 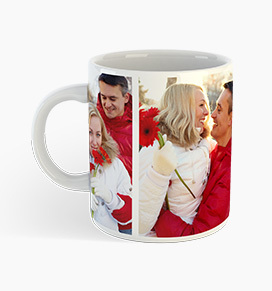 Choose a size for your custom photo mug. Size 11 oz. 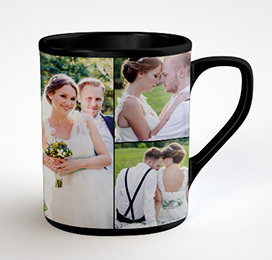 photo coffee mugs for just $9.49 each. 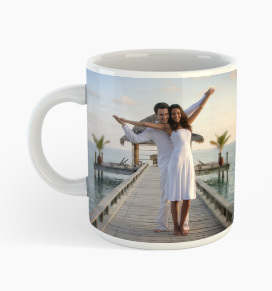 Create yourself a fun, customized photo mug for your morning coffee or tea. 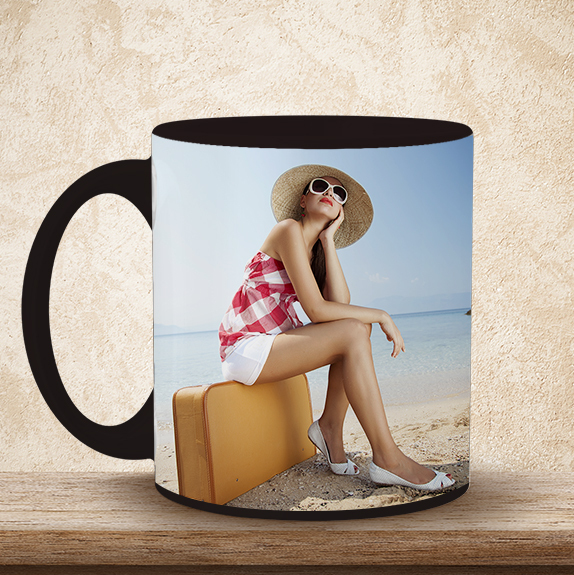 Add an optional colored handle or rim for the ultimate personalized mug! 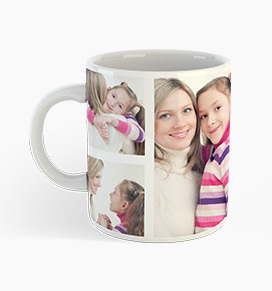 Add up to four photos to your mug in a variety of layout styles. 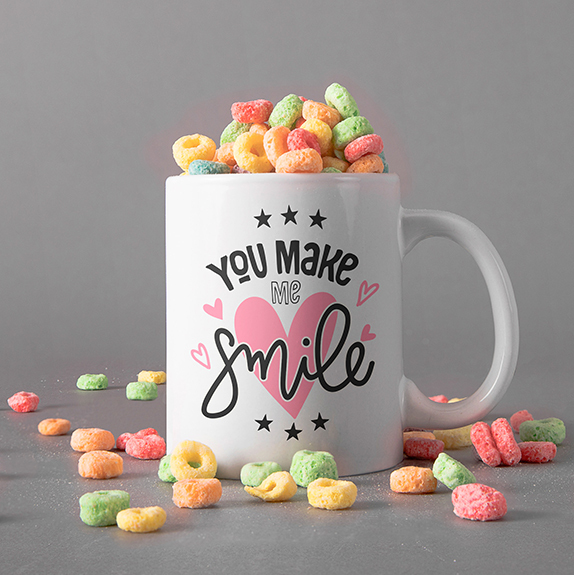 Add text or clip art for a special message for your mug. Add your name, a special phrase or quote, or anything you can dream up. 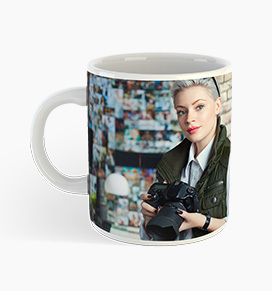 Make your mug uniquely yours! Your creativity is your only limit! A great surprise gift! 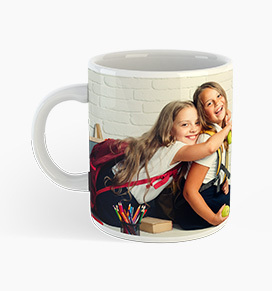 We have all heard that stories happen at coffee, how about adding a bit of magic in these stories with our custom magic mugs. 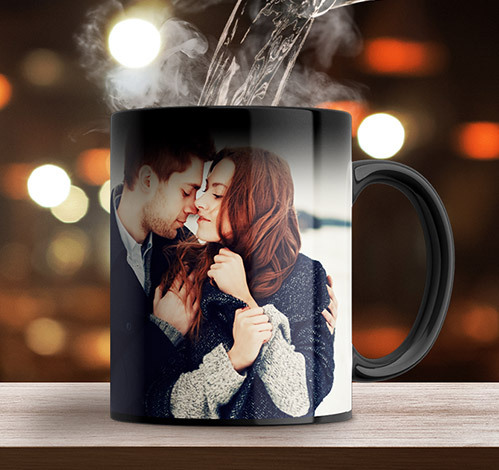 The specially designed magic photo mug will reveal your photograph only when the temperature inside it increases. Yes!! Pour some hot coffee, milk, or water and see the magic. Designed and crafted by experts to last for years! 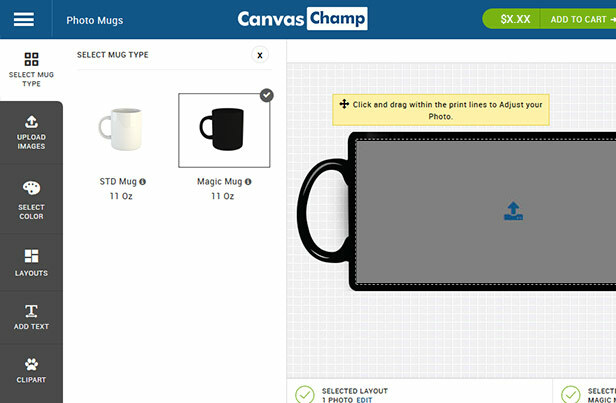 The classic layout to personalize your mugs. 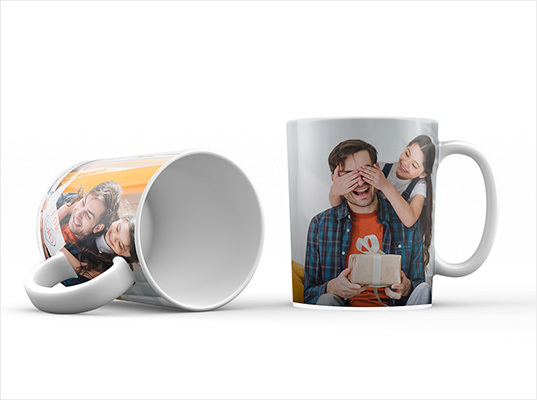 Flaunt your creativity with personalized collage prints on mugs. 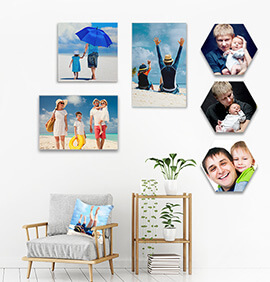 Make it as big as your creativity with wraparound prints. 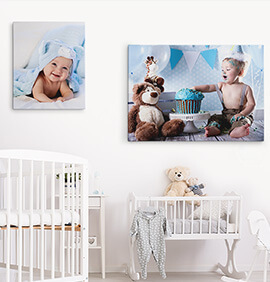 Works flawlessly when you need two-sided prints or wraparound. Determine one out of four wraparound options or maybe a collage. 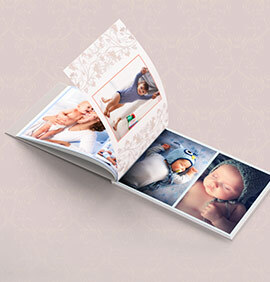 Scroll through wraparound and collage options. Align your images vertically or share a message/quote horizontally. 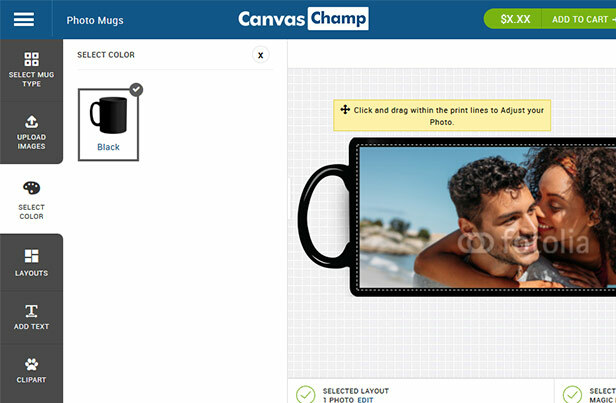 With CanvasChamp you can customize your photo mugs with your loved photographs, texts, and quotes. They also serve as a commendable gift for your loved ones and colleagues. 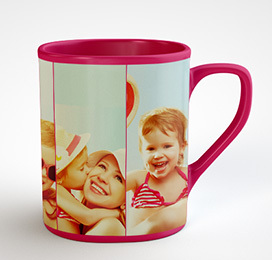 Now start your day with these gorgeous ceramic photo mugs, which are customized to meet your personal needs. 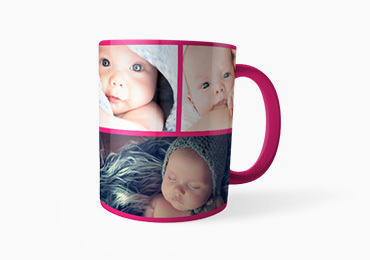 You can personalize them the way you want using your photos, message, or a quote that inspires you. 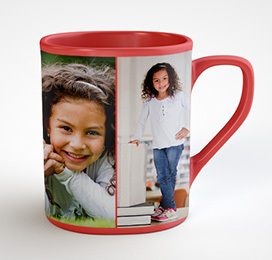 Our personalized ceramic photo mugs are crafted using innovative technology. Having said this, you can stay assured to have them in their original appearance for years ahead. 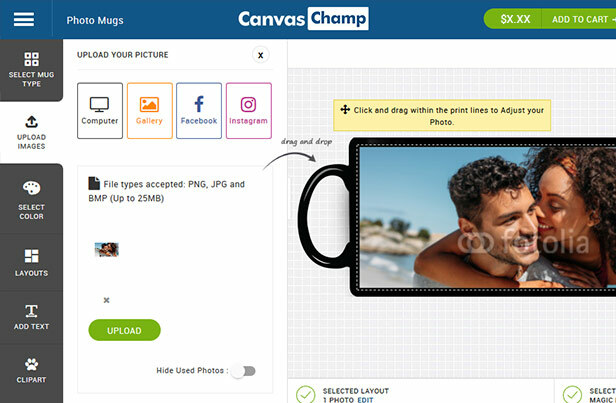 With CanvasChamp you can have best-customized photo mugs for your loved ones. 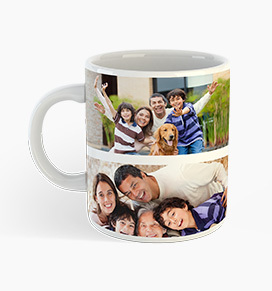 Offering a wide range of personalized options, photo mugs have everything to be at the top in your list. 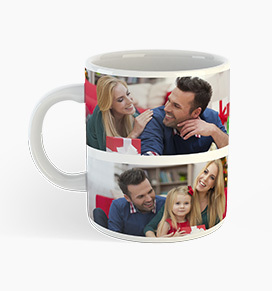 Well, not just your loved ones, but custom photo mugs can also serve as a commendable gift for your colleagues. 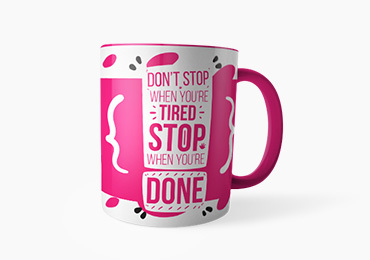 You can customize the ceramic mugs with your personal message, inspiring quotes, etc to make them further intriguing. 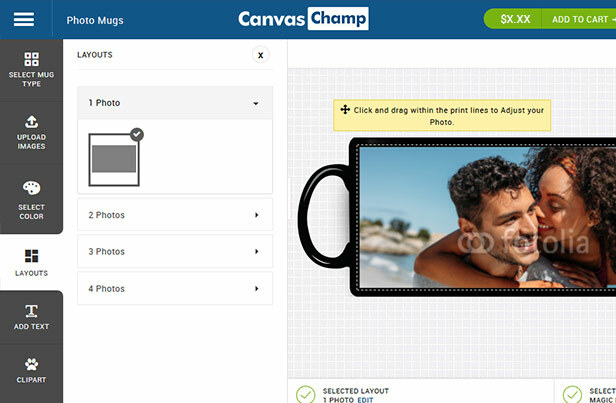 At CanvasChamp, we have a dedicated design tool for customizing and ordering your personalized photo mugs. The tool is designed to serve you with utmost ease in the process and allow you to scroll through a range of customizing options effortlessly. With so much for you on the plate, you get a wide arena to explore and flaunt your creativity. 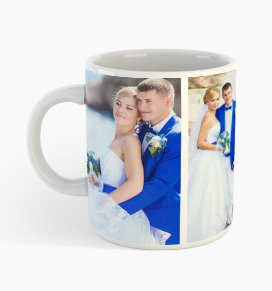 crew will be sure your custom photo mug exceeds your expectations. 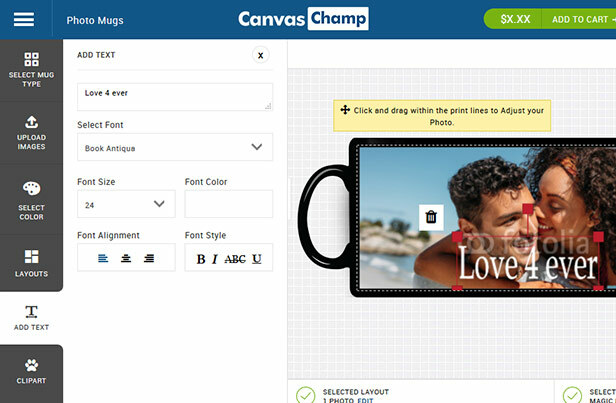 You get a quality product at a great price from CanvasChamp – we guarantee it! the perfect match for your style. 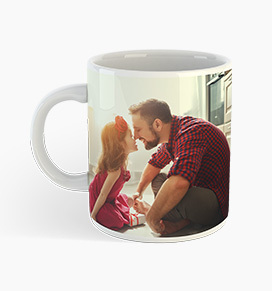 a few clicks away from the perfect photo mug. We'll match or beat any price on our products. we'll make it right! 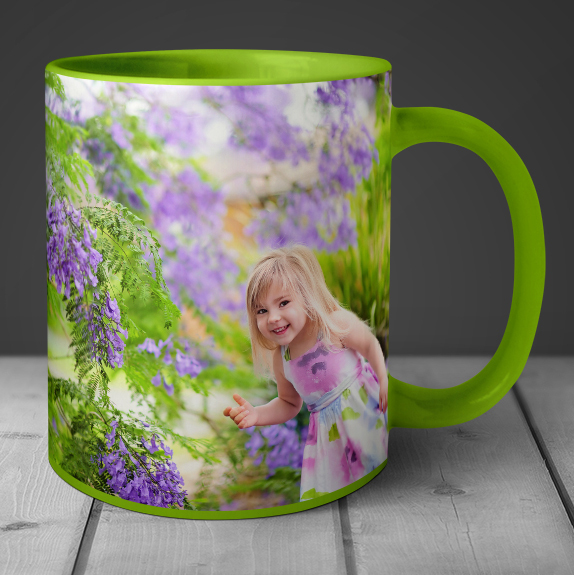 We’ll make the perfect mug for you or refund 100% of the purchase price. 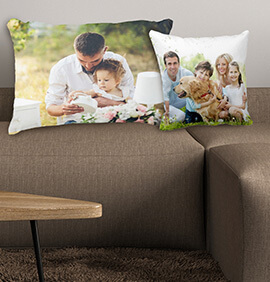 Lovely Pillows Keep Your Memories Close By! 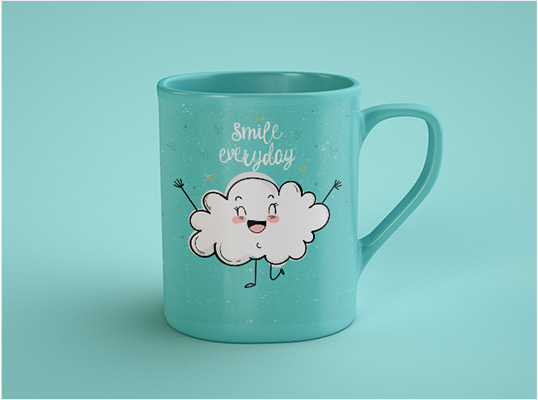 Browse our Huge Selection of Customized Products.